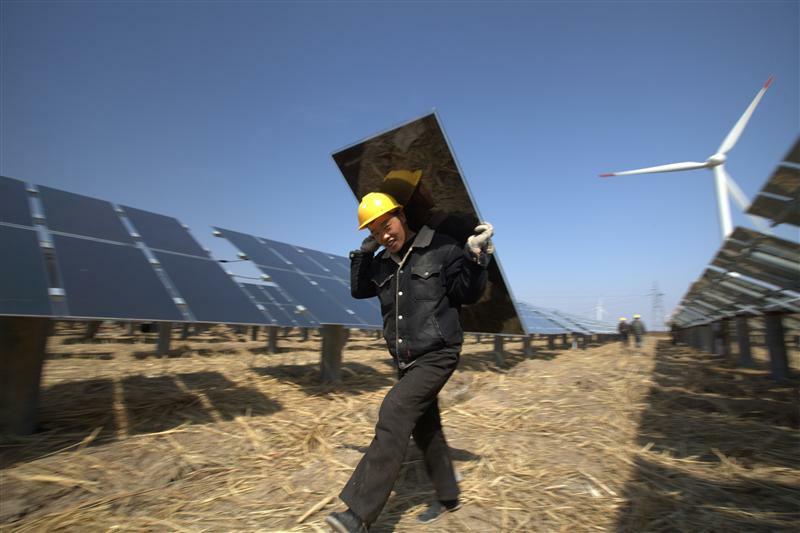 China dramatically increased the portion of its electricity generated from wind and solar in 2015, with the growth in the two forms of power alone exceeding the rise in the country’s total electricity demand. New data collated by Greenpeace shows that the country’s electricity consumption rose 0.5% last year, from 5522 TWh (terawatt hours) to 5550 TWh. Wind and solar comfortably met this new demand, producing 186.3 TWh and 38.3 TWh of electricity in 2015, compared to 153.4 TWh and 23.3 TWh the year before. That’s a dramatic increase: 21% and 64%, respectively. To give those numbers more context, China’s increase in power generation from wind and solar in 2015 (48 TWh) alone was twice Ireland’s entire electricity demand the previous year (24 TWh). In fact, Chinese wind alone could have met more than half the UK’s entire energy needs in 2015 (304 TWh). The expansion of renewable energy generation was made possible by China vastly increasing its wind and solar capacity in 2015, up 28% and 54% respectively on 12 months previously. In total, the country made up nearly half of the world’s new solar and wind capacity last year. The increased use of renewable energy, together with a marked economic shift away from heavy industry sectors, has meant that coal use in the country has dropped for a third year in a row, though it is still the biggest source of global CO2 emissions. Last week, China announced that it was ratifying the Paris climate agreement, alongside the United States, in a move widely hailed as historic. With the American presidential election now just two months away, it remains to be seen whether the States will be able to catch up in the race to lead the post-fossil fuels global economy.